oils, grease or animal fat. Any location that fries must have a K-Class fire extinguisher. Class K fires involve cooking fat, grease, or cooking oil. 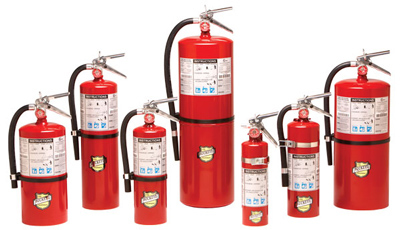 Prior to 1994 K-Class fire extinguishers were not required in locations cooking with animal fat, grease, or oil. Neither were K-Class fire extinguishers required in locations frying. The invention of newer deep fryers that are now used in restaurants allowed restaurants to cook at much higher temperatures without using using pressure cookers. This is because these newer fryers are insulated resulting in less loss of heat since not much heat is transfered to the outter layer of metal when cooking such foods as french fries and fried chicken. This speeds up cooking time, which lessens cooking time and allows more food to be fried in a given amount of time. This results in less wait time for restaurant customers especially drive thru restaurant customers. Underwriters Laboratories tested these newer fryers and found that the average fire extinguisher of the time was not adaquate to put out a fire that might result from these newer products in a timely and safe manner. UL 300 was the fire code that resulted. The code requires that all restaurant fire suppression systems installed after 1994 use a liquid chemical to extinguish fires. The code also requires that a K-Class fire extinguisher be hung and easily accessible in the kitchen. The National Fire Protection Association then wrote and released NFPA 17a which provide guideline for fire codes and which is followed by nearly if not all fire marshals in the United States. NFPA 17 calls for the K-Class fire extinguisher to be hung within at least 30 feet of the cooking appliance that uses grease, oil, animal fat, or to fry food. NFPA 96 also publishes requirements for the hood and duct in restaurants, churches, schools, daycares and other locations with a kitchen.